Please save the date for the second annual Unstoppable: Passion for a Purpose Luncheon. 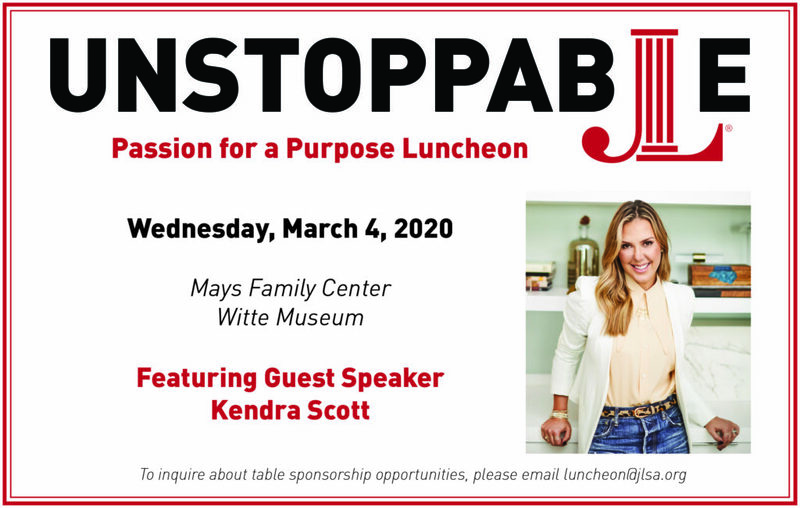 The luncheon will take place on Wednesday, March 4, 2020, at the Witte Musem from 12:00 – 1:30 p.m. Join us for lunch and an afternoon of community and conversation with special guest Kendra Scott, Founder and CEO of Kendra Scott Jewelry. Net proceeds from the Unstoppable Luncheon will benefit the programs and projects of the Junior League of San Antonio. Kendra Scott is the founder, CEO and designer of billion-dollar jewelry brand Kendra Scott. Based in Austin, TX, Kendra continues to lead her company on the foundation of three core pillars: Family, Fashion, and Philanthropy. Kendra Scott is a loving mom, a driven entrepreneur, and a passionate designer who believes the truest form of success is giving back in a meaningful way. She started her company in 2002, just three months after her first son was born, with only $500. Known for her dynamic use of color and genuine materials, Kendra’s commitment to innovation, quality and detail has brought her from a small start-up to a billion-dollar business and brand that has won over loyal fans, media and celebrities alike. Since she began her company, Kendra has lived by three core values: Family, Fashion and Philanthropy. She created a brand and culture that authentically values giving back and making a positive difference in the community. The Kendra Scott company maintains a focus on its customers and the causes close to their hearts, having donated over $25 million to local, national and international causes since 2010. Table Sponsorships open June 1, 2019. 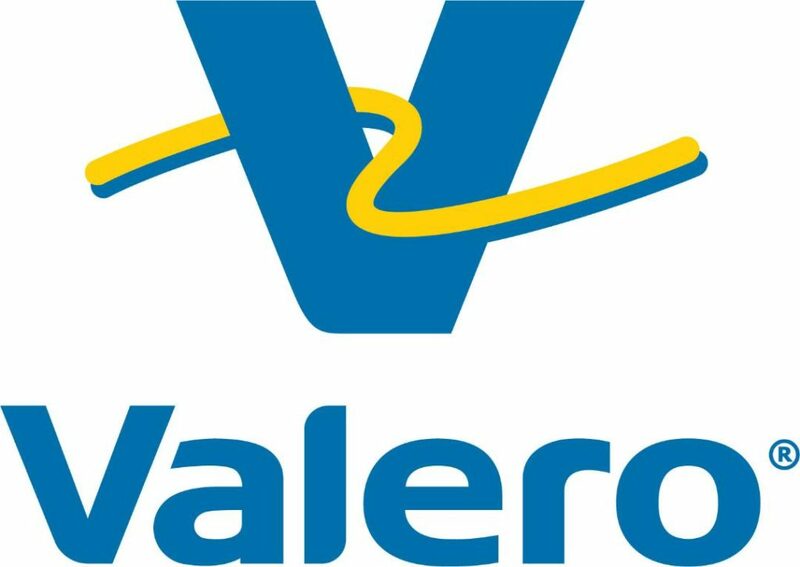 Please check back here for more information. For information on parking options for the Henry B. González Convention Center, please CLICK HERE.